Warren Buffet and Dan Gilbert are prepared to pony up $1 billion for a perfect bracket for the NCAA Men's Basketball Tournament. Imagine the prize if they latched onto the World Golf Championships-Accenture Match Play Championship where the potential outcomes are doubled (due to the consolation match). There are over 18.4 quintillion combinations with 64 matches at The Ritz Carlton Golf Club, Dove Mountain this week. Toss in the dynamic that truly any seed can escape the first round and this tournament isn't so much about seeding as it is survive and advance. Jack Nicklaus designed 27 holes on the property and was granted this tournament before the grand opening. The 18 holes in play are, in fact, a result of yet another combination. The par-36 Saguaro Course serves as holes 1-9 while par-36 Tortolita hosts Nos. 10-18. Aggregate yardage is 7,791. It won't play that long due to a varied selection of tees and an altitude of 2,300-3,000 feet. Greens are a roomy 6,000 square feet, but undulations enhance the premium of distance control and accuracy on approach. Nicklaus allows for some imprecision off the tee, but these fairways are not necessarily flat, so this is a true test on how to play golf. Unlike last year's snowstorm, seasonable conditions are on tap this week. Mostly clear skies with temperatures camping right around 80 degrees are expected throughout. Winds could be moderate at times. NOTE: The overall order below is a logical determination based on the top four. For example, because Dustin Johnson is slotted fourth (or lowest among the semifinalists), Zach Johnson is ranked fifth (or highest among the quarterfinalists) because the Johnsons would meet in the quarterfinals. Similarly, No. 8 Ian Poulter (lowest among the quarterfinalists) would meet No. 9 Sergio Garcia (highest of the eight that wouldn't advance from the third round to the quarterfinals) in the third round. Rory MCILROY Hogan Bracket. One-time runner-up (2012). On a tear since November. It's that kind of form that's needed to emerge from the toughest draw. Jordan SPIETH Debut. Player Bracket. Fearlessness on the greens is his ticket. Ranks 28th in GIR elevates chances. Easiest draw of first two rounds. Jason DAY Jones Bracket. Finished third last year. Course suits his long game and knack around the greens. Co-runner-up recently at the Farmers. Dustin JOHNSON Snead Bracket. A surprising semifinalist based on record; four of five times a first-round knockout. Win, two seconds & T6 this season. Zach JOHNSON Snead Bracket. Raking for months. Rested after four weeks off. Six of nine times he's been a first-round casualty. Top seed can't hurt. Webb SIMPSON Jones Bracket. Prior to a T70 at Riviera, posted seven consecutive top 25s on the PGA TOUR. Reached last year's quarterfinals. Stephen GALLACHER Player Bracket. Upset special. Two weeks off since defending his title at the Omega Dubai Desert Classic. Ian POULTER Hogan Bracket. Built for this, but luck of the draw sets up a tough road. Overall in this event: 22-11 with a win (2010) and two fourths. Sergio GARCIA Hogan Bracket. Giving Ian Poulter's intangible the edge in this third-round match, but the Spaniard has two wins in his last three starts. Luke DONALD Player Bracket. Welcoming draw helps despite a win here in 2011. Also won in Japan three months ago, but two forgettable results in January. Henrik STENSON Jones Bracket. Ignore his last four early exits as he rode a career roller coaster. Won this in 2007 but at The Gallery at Dove Mountain. Hideki MATSUYAMA Debut. Snead Bracket. No easy pickings, but he's so efficient. Sixth in proximity, 27th in strokes gained-putting. Also long off the tee. Keegan BRADLEY Snead Bracket. Poised for clash with Bubba Watson in second round. Games are similar, but Bradley is the better putter, just not by much. Graham DeLaet Debut. Jones Bracket. 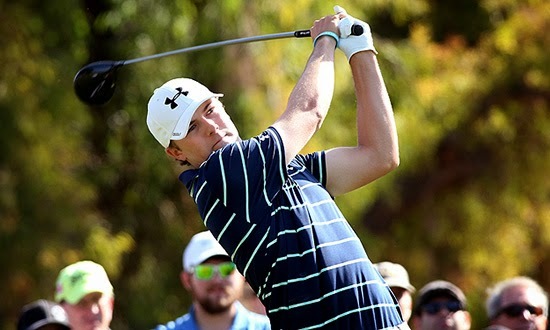 In only notable match-play event, beat Jordan Spieth in singles at the 2013 Presidents Cup. Matt KUCHAR Player Bracket. The defending champ could encounter a buzz saw in Jordan Spieth, who would ignore Kuchar's 15-3 record in four appearances. Charl SCHWARTZEL Hogan Bracket. Would seem to deserve better than a 5-5 record on cachet alone, but has reached the second round just once.